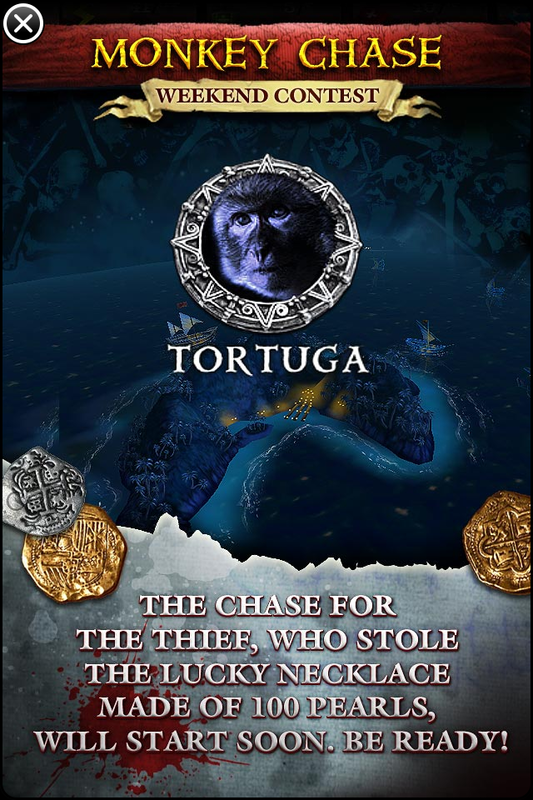 Monkey Chase – Weekend Contest – Tortuga – The chase for the thief, who stole the lucky necklace made of 100 pearls, will start soon. Be Ready! 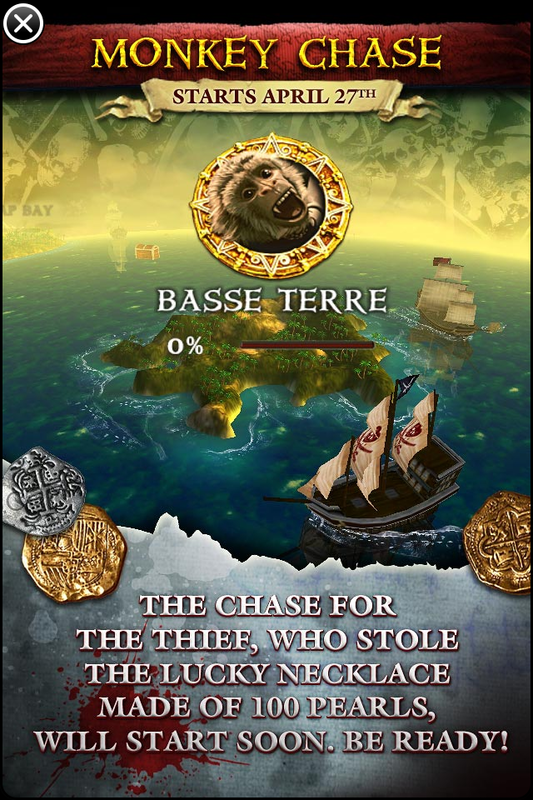 Monkey Chase – Starts April 27th – Basse Terre – The chase for the thief, who stole the lucky necklace made of 100 pearls, will start soon. Be Ready! 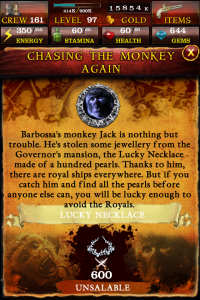 Barbossa’s monkey Jack is nothing but trouble. 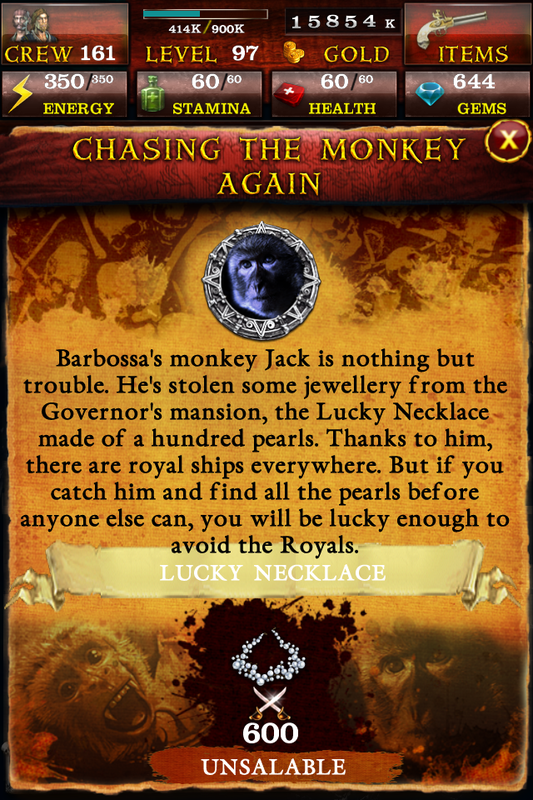 He’s stolen some jewellery from the Governor’s mansion, the Lucky Necklace made o a hundred pearls. Thanks to him, there are royal ships everywhere. But if you catch him and find all the pearls before anyone else can, you will be lucky enough to avoid the Royals. Onward to the finding the monkey! You’ll find that the main screen now has a picture of the monkey and your progress towards the challenge. 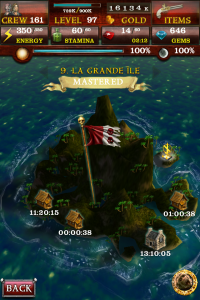 You will also see how many people have already been able to complete the challenge. 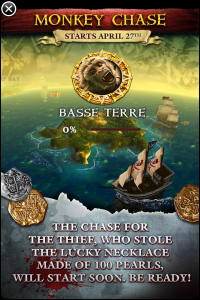 The compass with the monkey’s face will shake when he is somewhere on one of the islands. 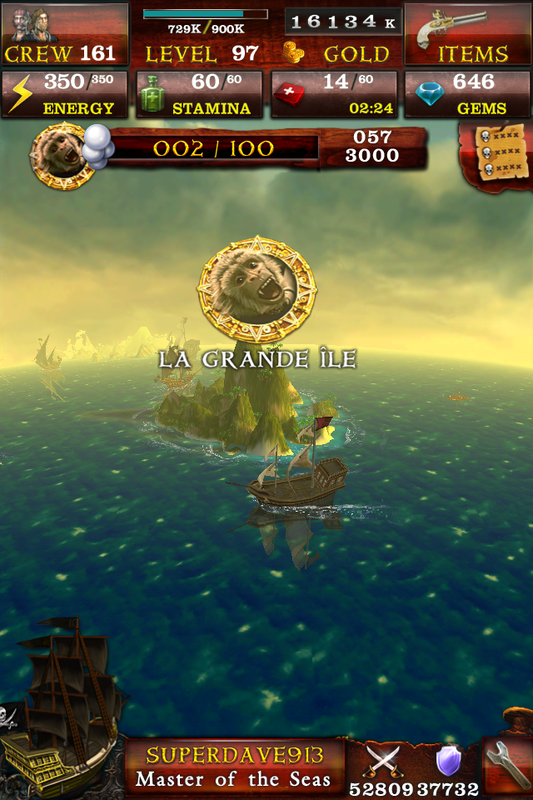 You will need to scroll around the game until you find his face hovering over the island. Select the island, and then in the bottom right corner, select the monkey compass. 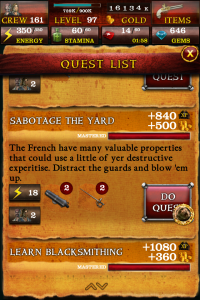 Scroll through the quests, until you see one with the monkey compass on it and select it. 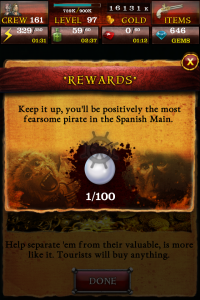 Once you complete the quest, you’ll be given one of the pearls. I think it is cool that they have these different challenges and sub-games. I’m curious to see how long they continue doing them. 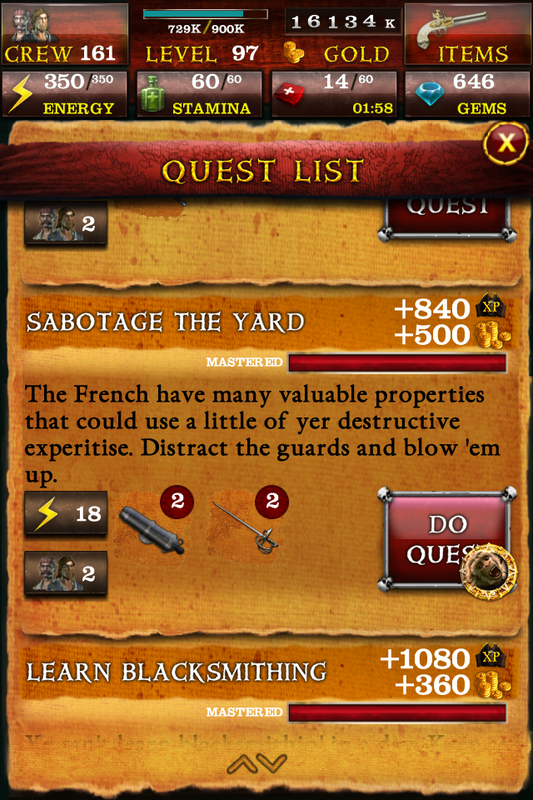 I was thoroughly disgusted by this quest. I spent a day and a half with pirates open waiting for the monkey to jump and missed it by 4 gems. If there was a trick to it we didn’t find it. My daughter got only 3 pearls logging in and out. Arghhhhhhh. I think I ended up with about 13 pearls. I hadn’t found any specific pattern to it, other than just looking periodically. I am more than disgusted with the entire game. So unlike what I know of Disney! The game has been unresponsive for days, often giving me a “server is unavailable/try again later” error. 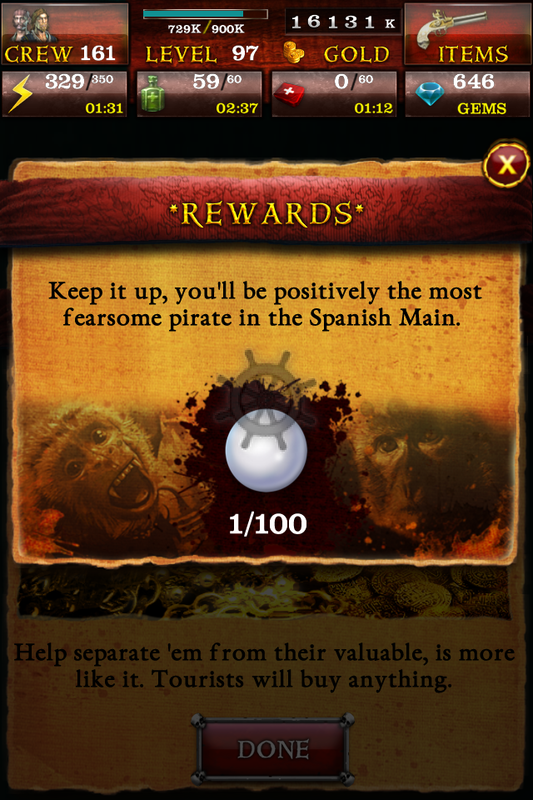 I was well on my way, with many gems, coins, and crew members. I have been unable to play for days and I’m about to delete the entire thing and forget about it.